Nokia has announced it's going to be releasing a netbook – the Booklet 3G. But why? The answer lies in the strength of its rivals in cutting deals, and the huge and burgeoning mobile broadband market. 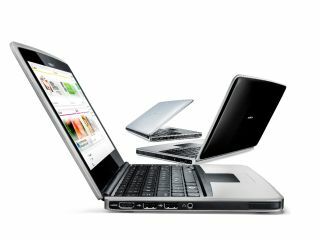 Rival handset manufacturers such as Samsung already make netbooks and Nokia will be hoping to offer network partners even more enticing deals for mobile broadband bundles. The deal could potentially pave the way for networks to negotiate bundle deals from Nokia consisting of a phone and netbook package in order to undercut those rivals who already manufacture netbooks. It seems the Booklet 3G will run Windows 7 Starter Edition (well, that's what's shown in the video, anyway). That'll match its rivals, even if it doesn't better them. The machine also packs an Intel Atom processor, 10-inch screen and boasts a supposed 12-hour battery life. The inclusion of HDMI means it's up there with the best its rivals are currently offering. This popular hardware package is sensible – enabling Nokia to keep costs low, while sticking with Windows. Note it hasn't plumped for a Linux-derived OS as we might have expected. The Booklet 3G was probably one of the ventures Nokia Devices' Executive Vice President Kai Oistamo spoke about when he said the recent Nokia – Microsoft joint-venture "only just scratched the surface [of the partnership] and isn't the full extent of all to come". More interestingly on the hardware front, the netbook will have an integrated SIM slot for mobile broadband, removing the need for a USB dongle and cutting costs for networks still further. By doing this, Nokia is staking a claim in the full mobile broadband market, rather than just providing non-PC based internet solutions. Nokia has paid attention to the design of its netbook – the neat metallic finish certainly looks the part. What will be more interesting is if Nokia makes the Booklet 3G more widely available than simply as an extension to its range available through mobile phone operators and outlets. If the Booklet 3G starts appearing in your local PC World, then Nokia will have truly moved into a new market – and a market with some serious competition, too. But with computer manufacturers such as Apple and Dell muscling in on the mobile space, who can blame Nokia for wanting to go the other way? We'll be getting hands on with the netbook at Nokia World next week.